Spore, the most anticipated computer game of the year--with its crazy stalk-eyed, six-handed, do-it-yourself critters and interstellar thrills--is officially slated to go on sale in U.S. stores on September 7. We got the chance to discuss this innovative game with industry veteran Lucy Bradshaw, Spore's executive producer. 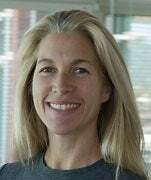 Bradshaw has worked on everything from LucasArts' Monkey Island 2: LeChuck's Revenge (1991) to Electronic Arts' Command & Conquer Generals (2003), but she is best known for her work leading the teams responsible for blockbusters like SimCity 3000, SimCity 4, and the 100-million-selling The Sims franchise. (Watch Lucy Bradshaw explain Spore and its Creature Creator function to PC World Senior Writer Darren Gladstone earlier this year). We caught up with Bradshaw again recently. PC World: How would you describe Spore to a casual gamer who's never heard of it? Lucy Bradshaw: It's kind of hybrid software toy, really. We give you a universe in a box, and you get to create your own little cellular organism and then be involved in every step of its evolution, from its life as a single creature through a Tribal Stage where you're multiplying, all the way to a point where you can take your very own species into space and conquer the galaxy. PCW: The game's officially finished and comes out September 7th, which is Sunday. What are you doing to get ready? LB: It's obviously a pretty exciting time for the studio. First of all, there's just a wonderful feeling when you actually get a big project like this to gold [status]. And that's a big push because you have to really think scope, work on the polish, and make some pretty big choices during those last few stages of game play. So the team is feeling really good about the level of polish we were able to bring to the final product. That said, some of the technology we built into Spore, we're only now beginning to take advantage of. So there's been a lot of stuff percolating about where we go from here, and we're playing with some of those ideas. Part of it's getting ready for where we might take the franchise next. Teams are kind of forming around different concepts and asking questions like "Should we exercise the procedural animation in a slightly different way?" or taking a second look at how we built in texturing and where we might go with that. Some of the graphics engine capabilities, particularly with the effects systems that we built, are things we can now explore and take in different directions. We've always thought what we were doing was building an engine we'd keep playing with after we shipped the core product. Something that's already driving us, for example, is the activity in the Sporepedia. I think we actually got to more than 3 million creatures last week, and people have been seeing that number just soar. So it's watching the amazing creativity of players and where they're taking some of the content already, making creatures that look like vehicles or that look like real-world creatures, that's influencing what we do next. 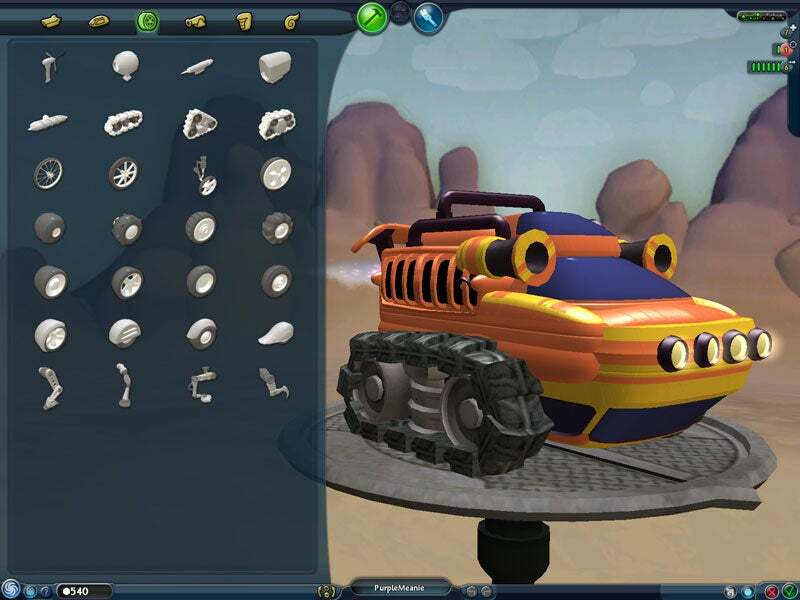 I can't wait to see what players do when they get their hands on the Building Creator or the Vehicle Creator. You know, spaceships and everything. 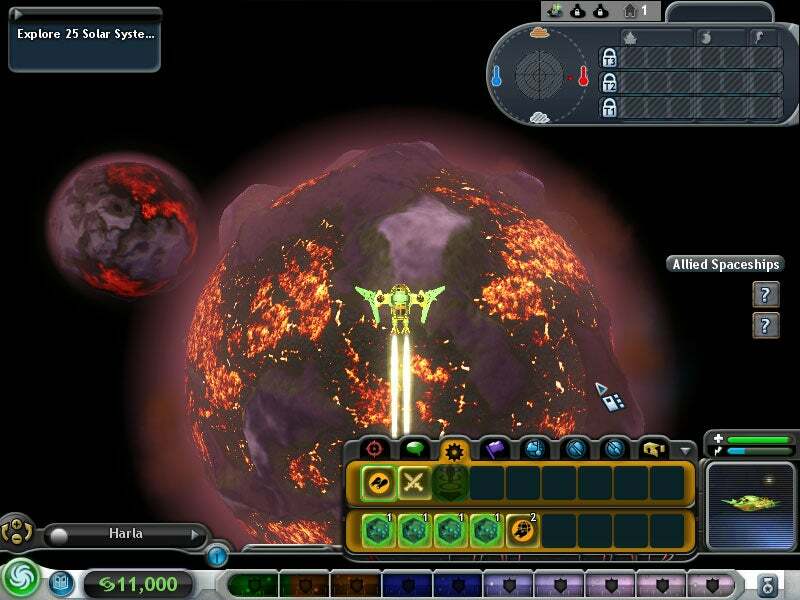 PCW: Will Wright calls Spore a "massively single-player online game." Day one, Spore plugs right into YouTube and lets users upload creature videos or import and interact with other players' creatures and even create Sporecasts. Was the social networking angle inevitable? LB: It's interesting, because we took cues from our own experiences with SimCity and The Sims, where players would create elements and then share them completely offline. We had this idea that we were going to lay down the building blocks for players to create the content that ultimately was going to populate the game, and that having that was hugely important, because you're journeying to all of these different planets and able to see all these unique creatures and buildings and vehicles. Every single planet you go to was going to bring this sense of surprise and awe to the game. That was central and why we made the creation tools the way we did. Not only that we'd made the building blocks and could tap into the creativity of a million players, but the fact that the content is so compressible. The model data for a creature is like 3 kilobytes, the thumbnail picture is about 18 to 20KB. So [that makes] a grand total of 25KB, which means that we can actually share all of this content without bandwidth issues. And then we did things like the YouTube partnership, the Planetwide Games deal involving a Comic Book Creator, and a make-your-own postcard system that we put in the Creature Creator that allows players to take things outside of just the elemental game play, share it with other players, and see where those players might take it. We even did a Facebook application that ties back to our servers. We really want to see what directions players take all this stuff. We've built a really strong tool that lets users share their experiences in different venues, and I can't wait to see what unravels next. PCW: What are some of the things we might see in future expansions to the franchise? 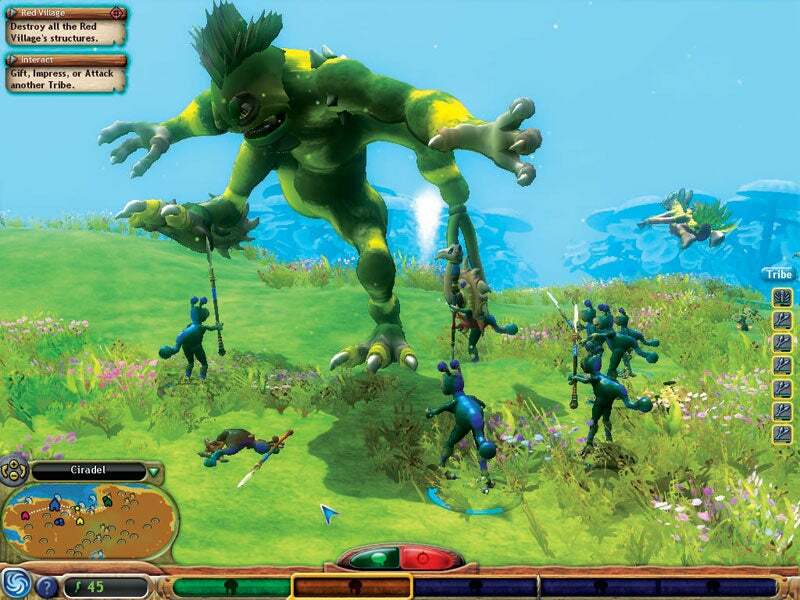 LB: We designed Spore so that we could take any area of the game deeper and provide even more engrossing experiences, adventures, and activities. Expect to see us add depth to game play, enhance the editors, and increase the kinds of strategic choices that impact the game play. And the Sporepedia is already full of an incredible range of content. We're going to have some fun with all of this data rolling forward. Members on our team have been studying cladistics. You know, "How would we ultimately categorize all of the species that have been uploaded to our Sporepedia?" It kind of harkens back to Will's E3 speech, where he compared the Spore player productivity to God's populating Earth with 1.5 million known species and that sort of thing. So, how do we have fun with the data that we've got our hands on now? And those are all directions that the team is absolutely buzzing with ideas about. PCW: Spore is something of an odd duck in that it keeps opening up as you progress, but actually has an endgame where you can travel to the center of the galaxy. Is that endgame required or optional? LB: There is a little thread of a story that you'll pick up on as you adventure in the galaxy, and if you pursue that thread and unravel that story line, it's going to set you toward the center of the galaxy, but that's as much as I'll say. PCW: You can keep playing afterward, though, right? LB: Oh, absolutely, because there's plenty more to explore. You can continue to terraform, you can continue to evolve your empire within the galaxy. There's an enormous collection of stars and planets to visit. PCW: Spore's available initially for Mac and PC, but it's also coming for the Nintendo DS and mobile phones. Are the handheld and mobile versions forever stand-alone, or will they eventually interact with the PC and Mac versions? LB: The PC and Mac versions interact in the sense that all the content made on either can be shared. The DS and mobile are completely stand-alone, but they really are interpretations of Spore for those platforms, complete with their own creators and game-play parameters. PCW: Any plans for a trading-card game based on the creature info cards? LB: That's not something we've announced or anything I can talk to specifically, but one of the things we have been doing is that we have a partnership with Zazzle where you can take your creature images and incorporate them into T-shirts and lunch boxes. So there's already a Spore Zazzle store. We've also got the Comic Book Creator, the YouTube partnership, and we're working to potentially make little collectibles where you could get a 3D printout of your creature spaceship or whatever. That's what's in the works right now.